Maple Energy plc announces various updates regarding its ethanol business and operations for the period January 1st through October 31st, 2013. ◾ An aggregate amount of approximately 811,000 gross tonnes of sugar cane (approximately 719,000 net tonnes) have been harvested and processed as of October 31, 2013. This net amount of processed sugar cane excludes sugar cane "trash", which primarily consists of green and dry leaves of the sugar cane that are ultimately used as fuel to generate electricity. ◾ An aggregate amount of approximately 54,300 cubic metres (approximately 14.3 million gallons) of fuel-grade ethanol have been produced at the Ethanol Plant as of October 31, 2013. 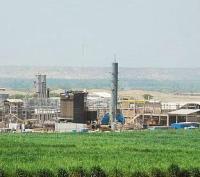 The average ethanol yield during the ten-month period ended 31 October 2013 was approximately 20.0 gallons (approximately 75.70 litres) per net tonne of sugar cane processed. 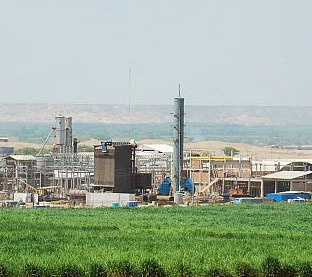 Maple currently expects yields in the range of approximately 20 to 21 gallons of fuel-grade ethanol on average from each net tonne of sugar cane processed at the Ethanol Plant in 2013. ◾ An aggregate amount of approximately 81,075 megawatt-hours ("MWh") have been generated at the Ethanol Plant as of October 31, 2013, and the energy required for the agricultural and industrial operations has been approximately 81,100 MWh during this period.